We are now looking to add a new part-time team member for the upcoming season! Click here to apply. 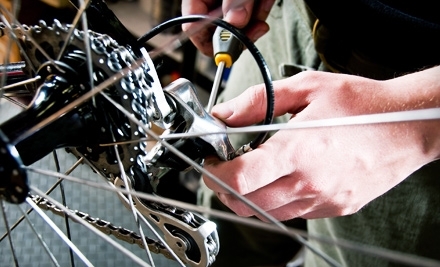 We offer a full range of service options, from a quick tire fill up to a full bicycle overhaul. Just bring your bike by and we'll find out what it needs, estimates are always free! Feel like riding but don't have your own bike? Our rental fleet is perfect for cruising the Monon. You can roll on down to Broad Ripple or explore downtown Carmel, right from our shop! As a Specialized dealer, we have a wide selection of hybrid, road and mountain bikes, so you can find your adventure wherever two wheels can take you.